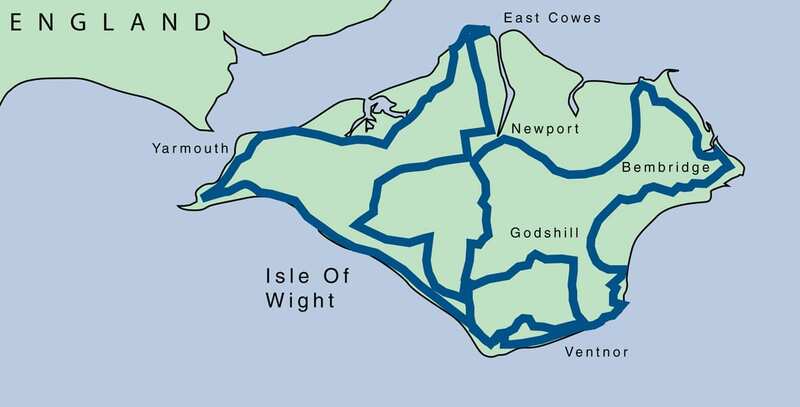 The largest island off the English coast is a delightful, self-contained community covering an area of 147 square miles, half of which is designated as an Area of Outstanding Natural Beauty. The 67 miles of coastline include chalk and sandstone cliffs, sandy beaches, marshes and estuaries and deep coastal ravines, while inland are ancient forests, farmland, downs and river valleys. The Isle of Wight is the perfect place to enjoy a relaxing break, at any time of the year. It is a stunning Island with unspoilt scenery and a wealth of fascinating attractions. This tour is limited to just 20 cars in total. Stay in the Island’s leading 4 star hotel on the south coast of the Island, in the quintessentially English resort of Ventnor. This fabulous hotel is steeped in history and is the perfect base to discover the island’s colourful past. Most of the bedrooms have a view of the gardens with the sea beyond and it is an few minutes stroll to the sandy beach. The renowned restaurant has been consistently awarded 2 AA rosettes. There is an outdoor pool as well. Garden View Rooms: Overlooking the well-tended grounds and with small sea views, these rooms are decorated with beautiful fabrics and comfortable furnishings. All rooms are en-suite with tea and coffee making facilities, flat screen television and direct dial telephones. Arrive on the island via Red Funnel ferries to East Cowes. The ferry crossing can be booked at any time to suit you. It is then a short drive to visit Osbourne House, former home to Queen Victoria. The drive cross-country, on some delightfully quiet lanes, through Newchurch and onto Ventnor. Stop and visit the renowned Garlic Farm, with an amazing array of the bulbs and everything (and more) to do with garlic. Dinner is included at the hotel. Explore the western side of the island today, heading along the coast to Blackgang and the superb road to Freshwater. Continue to Alum Bay to see the Needles, and then drive onto the pretty port of Yarmouth for lunch. Then head to Newtown, famed for its National Trust properties, and then along the seafront to Cowes, Britain’s yachting capital. Enjoy a stroll around Cowes, and indulge in a spot of shopping. Then head south to Carisbrooke Castle, and visit this amazing medieval building and wander around the ramparts. Continue south to the idyllic villages of Brighstone and Mottistone, where you can visit the manor. Return to Ventnor on the back roads in plenty of time for dinner, which is in a nearby restaurant. Discover the island’s eastern half starting with a visit to Appuldurcombe House, with its Owl & Falconry Centre. Continue to Godshill, which is an ideal place to stop for coffee (or hot chocolate Chocolate Island). Drive along some of the wonderful small lanes, wiggling your way up to Newport, to visit the excellent Classic Boat Museum, and the Bus Museum next door. After your visit head over Brading Downs to Ryde, on the north coast of the island. Drive along the esplanade, past the pier, and head on to the lovely village of Bembridge. Then on to Adgestone Vineyard for some samples of their fine wines, before heading to Shanklin old village. Return to Ventnor via the quaint village of Bonchurch. There is a final dinner at the hotel. Option: If you wish to cross from Portsmouth to Fishbourne (instead of Southampton – Cowes) please add £15 per person to the above prices. All prices are based on two people sharing a double or twin room, and one car. There is a supplement for single occupancy rooms – please enquire for details. All drinks are extra to accommodate individual preferences. The most important requirement is that you take pleasure in motoring through fabulous scenery, relish individual, character hotels and enjoy the company of like-minded travellers.